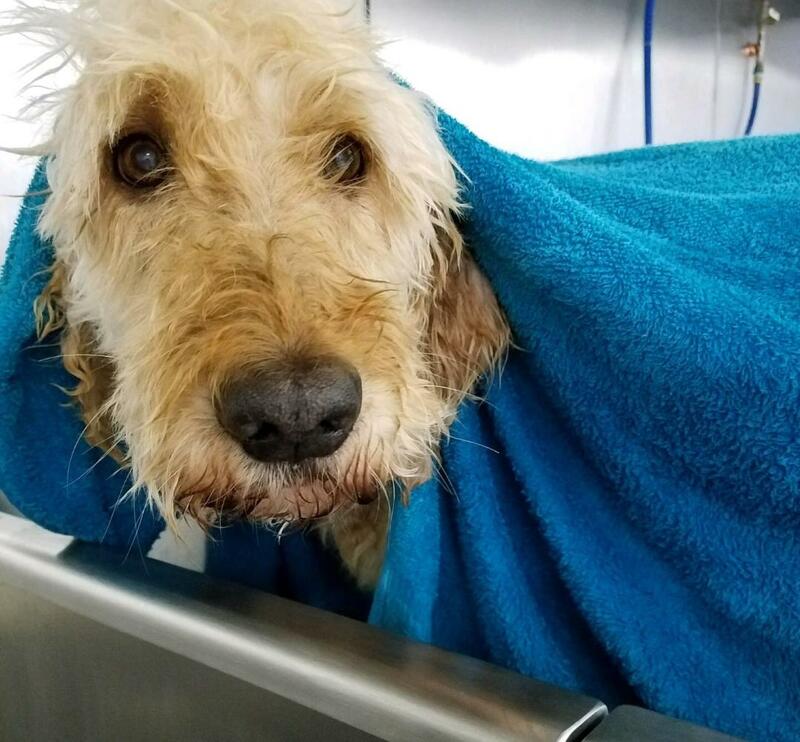 Dapper Dog Wash has a motto that we stand by each and every day: "Cherishing Your Pets As Our Own"
When your dog walks in the door, we strive to give them the best grooming experience so they will be excited for future visits. 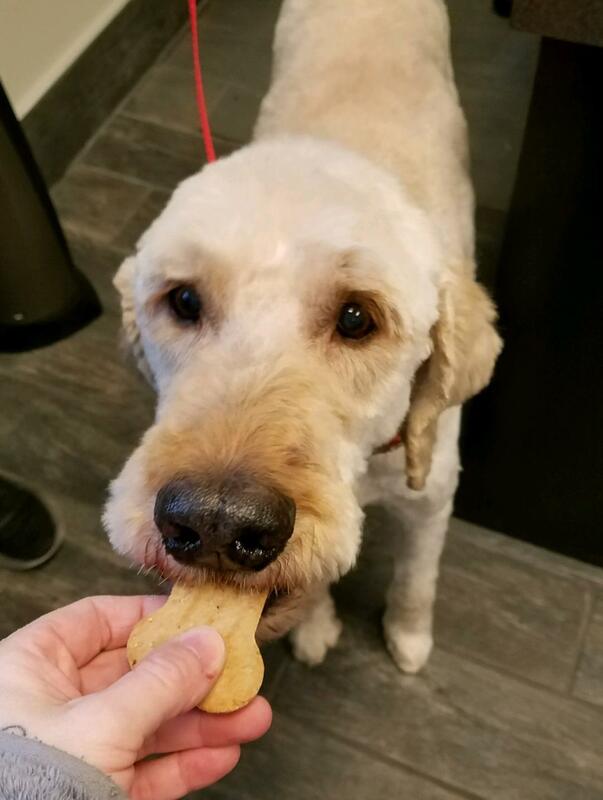 Our groomers will assess your dog's coat condition, listen to your needs and desired haircut, and answer any questions at drop-off. Your dog begins their experience with a warm bath. The water is set to the perfect temperature so it is never too hot or too cold. Each dog is lathered up and massaged with one of our warm, aromatherapy shampoos. We believe in doing what is best for your pet and their needs, so there is no extra charge for specialty products, including our blueberry facial scrub, oatmeal/medicated shampoo, whitening shampoo, conditioner or flea bath. Your pooch is then brought to the drying area where their coat is dried and any undercoat is blown out to help reduce shedding. Properly drying a dog can take time, so we ensure your dog is comfortable. Sometimes they will lay down for a quick snooze during this process. Dogs are also given lots of love and kisses by the bather/groomer drying them or from employees as they pass by. We are dog lovers...we can't resist! The final step is the brush out and hair cut. For larger dogs, our groomers have adjustable height tables so that your dog can safely and easily get on and off. If your dog is elderly or feels unstable on the table, we will groom them on a bench that is roomier and more comfortable since your dog can sit or lay down if they wish. 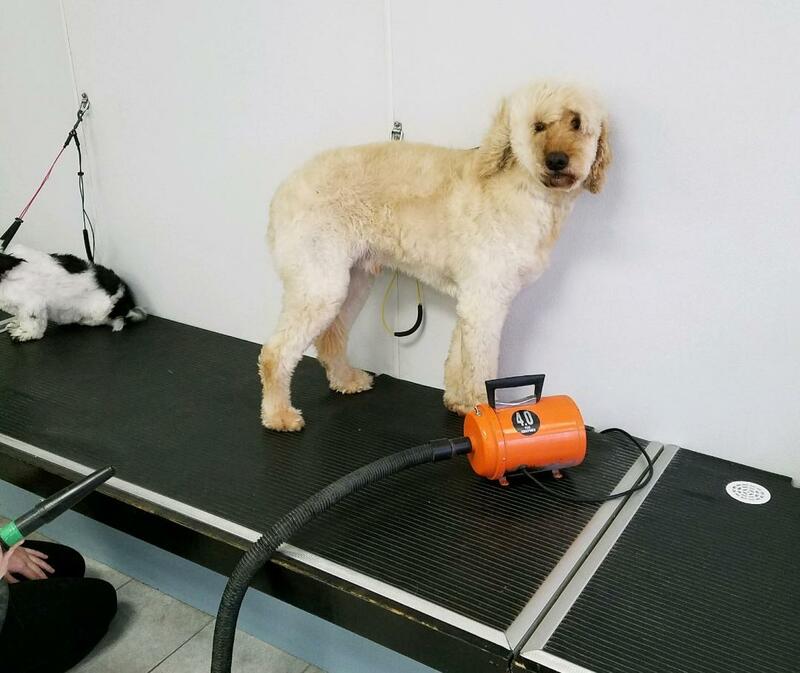 Our groomers stations are visible from the front window, as we pride ourselves on grooming your dog in a kind and gentle manner. Once the entire groom is finished, we will promptly call you to pick-up your dog. In the meantime, your dog can hang out in the "Doggie Lounge" where they can rest on beds and blankets, play with toys, or have a drink of water.